Do You Want to Join the Crew behind the Best Family Holiday Destination in lreland? Join us on April 28th from 2pm to 5pm in Westport House and Hotel Westport for open interviews. Our crew are a very important part of our visitors experience in Westport House and Hotel Westport and as a result, we are looking for the very best of the best. Does that sound like you? It is an extremely exciting time to join the team with Westport House and estate recently coming under new ownership. Our 2018 Recruitment Open Day offers you the opportunity to be part of a truly transformational change in the Westport and Mayo region. The Hughes family employ hundreds of people in the local community all year around and make a massive contribution to the local economy. This seasonal recruitment drive will augment and boost this contribution. As part of our team at Westport House and Hotel Westport, you will help our visitors and guests to make magical memories. You will meet people from all walks of life and from all over the world – meaning no two days are ever the same. We guarantee you’ll enjoy being part of a vibrant and enthusiastic team working in this historic estate. Check our a video of Kathryn, one of our crew, telling us what she loves about working at Westport House. Ticketing & Admissions Team – Our admissions team are the very first people that our visitors meet and therefore play a key role in the customer’s overall experience. We are looking for customer service focused candidates with excellent people and computer skills. Cash handling and local knowledge would also be an advantage. Candidates must have excellent communication skills and enjoy working in a busy environment. The Pirate Adventure Park Operators – There are various roles to fill in the Pirate Adventure Park including attending our Giant Swan Boats, the Cannonball Run, Indoor Soft Play, Bouncy Castle, Go Karting, driving the Miniature Rail Train, operating the Pirate Ship and the Pirates Plunge. All of these roles require the candidate to be responsible and safety conscious, at the same time being customer focused, in their interaction with adults and children. The candidate must enjoy working outdoors and be flexible in their positions as the role could vary occasionally. Mechanic knowledge and experience would be a distinct advantage. Retail Team – The ideal candidate will have excellent sales skills, customer service and the ability to handle all transactions efficiently. A good eye for displaying products and pride in the appearance of your retail area is key to this role. There would also be regular stock takes and records to upkeep. Food and Beverage – Candidates should be passionate about creating a friendly and calm environment for our visitors to take a break in and enjoy a good quality snack. In this role you will be preparing and serving hot drinks and assisting with clearing the tables and ensuring the food areas are kept to a high standard. HACCP would be an advantage in this role. Caravan and Camping Park – You will be involved in the daily running of the caravan and camping reception and meeting a lot of very interesting visitors. Applicants for this position must be very customer focused and have an ability to work on their own initiative. Computer skills and local knowledge are essential for this position. 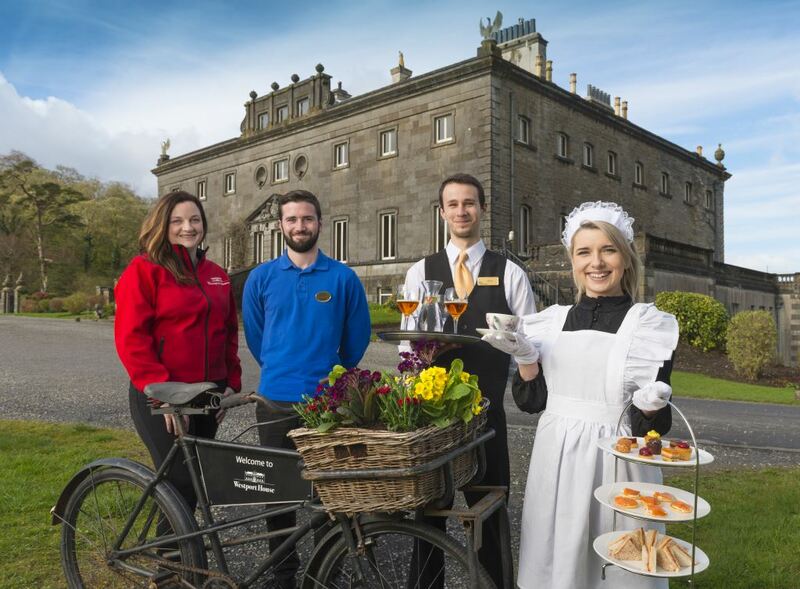 Westport House – We offer a beautiful Victorian Afternoon Tea & Tour experience in the stunning Drawing Room and we are looking for outgoing waiting staff who are willing to wear a traditional Victorian uniform while helping to deliver an authentic 19th century experience. Hotel Westport – Accommodation Team Leader & Duty Manager Positions Available. If you’re interested in joining our seasonal team, please come to our Recruitment Open day on Saturday, April 28th from 2pm to 5pm. We will be holding open interviews in Westport House itself so please walk or drive right to the house to meet us there. Please come prepared with your CV and a letter expressing your interest as well as your references. If you cannot make our Open Day, please email us at jobs (at) westporthouse.ie with your CV to express your interest.